Hello! I read Dreamlander by K.M. Weiland last month after receiving it for my birthday, and this was one of the quotes that really stuck out at me. As usual for the first Saturday of the month, let’s analyze it! 1. It’s memorable. As soon as I read this, I thought, “Wow, what a great quote.” It’s short, but still packs a punch. Sometimes, what sticks with a reader is not long, flowing passages of prose, but short quotes that are, well, quotable. This quote comes early on in the book to describe one of the political factions that winds up playing a major role later on, so its memorability only aids in foreshadowing. 2. It’s relevant. The other thing I thought as soon as I read this was, “So true.” I won’t give names, but America’s political scene today shows us the very truth of this quote. It’s always interesting when books speak to current events, even accidentally (Dreamlander was published four years ago). It’s good to express your opinion as the author without being too overt. I really enjoyed this book. Come back in a couple weeks for my full review! What do you think? 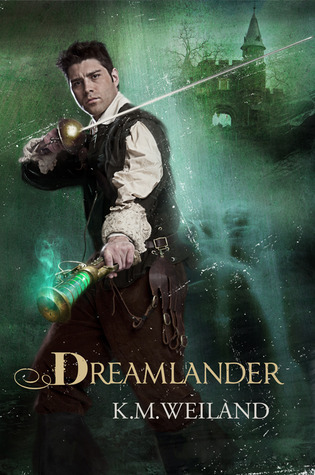 Have you read Dreamlander? Do you like this quote? What do you think of political opinions in fiction? Tell me in the comments! So let’s analyze! What can we learn from this quote? 1. It’s amusing. This is the first thing I think of when reading this quote. It makes the reader chuckle as well as think. If you think about it, a very effective way to portray the theme of a book (if it fits the story, of course) is to wrap it in humor. People like to laugh, right? One theme of Dealing with Dragons could be doing something to change your life if you don’t like the way it’s going right now, so this quote works as a good early introduction to the theme. 2. Do we need to know the frog’s name? Looking at this quote, something else jumped out at me. The frog is an important character, in that he prompts Cimorene to go take action to change her lot instead of just talking about it, but he doesn’t show up in the rest of the book. So, do we really need to know his name (or if he has a name or not)? Not really. He’s just onstage, as it were, for a page or two. We don’t have to put a lot of work into short-lived side characters, just enough to make them feel realistic (earlier in the conversation, Cimorene asks if the frog is an enchanted prince, and he says no, but he’s met a few and picked up a few things). The frog here is a great example of that. What do you think? Did this quote make you laugh? Have you read the Enchanted Forest Chronicles? Do you like them? If you haven’t read them, do you think you’ll give them a try? Tell me in the comments! For now, let’s talk about the above quote, particularly the part I put in bold. I picked this one because I think it’s really striking (you can find many more on Goodreads if you’re interested–be warned, there is some language in some of them). Let’s analyze: why is it so striking, and what can we writers learn from it? 1. It speaks to truth. A big theme of Fahrenheit 451 is that books speak to truth (or, at least, they should). Ironically, or perhaps purposefully, Bradbury is doing exactly that here. This quote comes near the end of the book, and he wants to leave us with something that speaks to what the storyworld is not, at the moment, but might become, something that it used to be. This quote embodies the theme of the story: life should be worth something. We should all have quotes somewhere in our books that bring out the themes of our stories. 2. Literary devices are used well. In the second sentence, Bradbury uses parallelism to make his point; each phrase has a similar structure. This reinforces the ideas presented in the reader’s mind and makes the writer’s point better. (Of course, this would only work coming from particularly well-spoken characters, such as the well-read man who is speaking about his grandfather here.) Bradbury also uses the metaphor of the soul going into an object when it dies to make his writing that much more powerful. The Tombs of Atuan: I reviewed the first book in Ursula K. Le Guin’s Earthsea Cycle, A Wizard of Earthsea, back in April. The Tombs of Atuan is the second book, and I thought it was just as good as the first. Fahrenheit 451: I had wanted to read this classic about book-burning for years, and finally got it out from the library this past month. I flew through it, and it was every bit as good as I’ve been told. The Andromeda Strain: I had previously read Jurassic Park, another of Michael Crichton’s sci-fi novels. As part of my recent sci-fi kick, I read The Andromeda Strain, about an extraterrestrial organism that comes down to Earth on a satellite and promptly causes disease and mayhem. It thrilled my inner scientist, but not so much my inner writer. Just answer in the typeform below to give your opinion! The review will go up on the 18th. What do you think of today’s quote? Have you read Fahrenheit 451? Did you like it? Which book did you vote for? Share in the comments! Welcome to my third book quote post on The Story Scientist! (This must mean I’m entering my third month of blogging. Wow. . . .) I post book quote analyses on the first Saturday of the month. I have previously examined quotes from The Fellowship of the Ring and Oliver Twist. Today, I draw from the first part of one of J.R.R. Tolkien’s lesser-appreciated works: The Silmarillion. This is what my copy of The Silmarillion looks like. Because this book isn’t so well-known, the excerpt requires a little explanation. Here, Iluvatar (basically God) is talking to Ulmo (angel of water) about Melkor (the devil), up in heaven at the beginning of time. So, let’s see what we, as writers, can learn from this quote! 1. Old-fashioned language can be hard to read. This is probably half of why people struggle with The Silmarillion. Most of it is narrative, more history than story (this is one of the few bits of dialogue in the first part), and the characters tend to talk like Shakespeare. 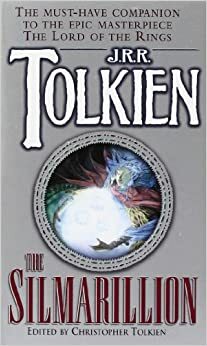 While this is appropriate for Iluvatar, who, as creator, is set apart from the rest of the characters in the book, all the “thees” and “thous” can be hard for the modern reader to wrap his or her head around. If you’re going to use old-fashioned language like this, do it sparingly and, as Tolkien has done it here, in a way appropriate to the characters (as everything really should be written, right?). 2. Philosophical concepts can enhance novels. Look at the quote again. Iluvatar really isn’t just talking about water here. He’s talking about how even the evil spawned by a fallen angel can enhance the good. Melkor brings cold, which creates beautiful frost; he brings heat, which creates beautiful clouds. Iluvatar is saying, in a much grander way, “There’s always a silver lining.”This brings in one of the central themes of this work: good versus evil. It’s great to incorporate big themes into your story like this. 3. Prose should be beautiful. I’ve talked about the eloquence of Tolkien before, but I love it so much, I can’t help but bring it up again. 🙂 The beauty of this prose lends itself to the grandeur of the history Tolkien relates to us in The Silmarillion. So really, this should read, prose should be beautiful if it lends itself to the story (or the piece of description, or whatever it is you’re writing). In this case, it does, so it works well. That’s all for today! Have you ever read The Silmarillion? Did you like it? Do you think old-fashioned language is hard to read? Do you ever write characters who say “thee” and “thou?” What kind of themes do you enjoy reading about? Tell me in the comments! As they passed Sunbury Church, the clock struck seven. There was a light in the ferry-house window opposite which streamed across the road and threw into more sombre shadow a dark yew-tree with graves beneath it. There was a dull sound of falling water not far off, and the leaves of the old tree stirred gently in the night wind. It seemed like quiet music for the repose of the dead. Hello, all, and happy April! Let’s start off the month with a book quote. Last month’s was from Tolkien (The Fellowship of the Ring, to be precise). This one is from Oliver Twist by Charles Dickens, which I reviewed last month. Needless to say, Dickens books are quite different from Tolkien books, though both were masterful writers. I particularly like this quote for its descriptive qualities, so that’s what I’m going to focus on today. What can we learn about descriptive writing from the quote above? 1. It suits the mood. At this point, Oliver Twist and a thief, Sikes, are on their way to commit a robbery, and Oliver, our main character, is afraid. Because of this, he (or, more properly, the omniscient narrator) does not see cheery light casting welcoming rays into the darkness, but light that sets a tree and the gravestones beneath it in shadow. You can sense the foreboding just by reading this one paragraph of description. 2. (Spoiler alert!) It serves to foreshadow a later event. I won’t give too many spoilers here, but near the end of the book, someone dies. Dickens has snuck in some very clever foreshadowing about twenty-five chapters ahead of time (yes, this is a long book) with his description of the graves and his comparison of water and wind to music for the dead. It’s smart to add moments like these early in the book so the climax doesn’t come completely out of the blue for the reader. And there you have it! Lessons about description from a paragraph of Dickens. What do you think? Have you ever read Oliver Twist? Can we draw some advice from this quote that I didn’t note here? Do you enjoy reading Dickens’s descriptions as much as I do? Tell me in the comments! Good morning! I thought I’d start off with an analysis of a book quote, and who better to start with than Tolkien? This is a classic quote, as much as The Lord of the Rings is a classic work of fiction. I’m sure all those of us who are speculative fiction fans have heard it at one time or another. Gandalf often has these wise quotes that I love so much. And today, I thought I would analyze this quote. What makes the quote above (specifically the bolded words) so effective and so classic? What lessons can we writers learn from Tolkien through this quote? 1. It’s powerful. Tolkien, through Gandalf, is talking about life and death here. Big things. Themes writers deal with all the time. In fact, life and what to do with it is a theme in The Lord of the Rings. This quote, early on, is foreshadowing some things to come. Incorporating important themes can definitely strengthen our work, and using wise characters to allude to them is one good strategy for foreshadowing. 2. It’s eloquent. I will probably say this whenever I analyze a Tolkien quote, and for good reason. I, personally, love to bask in Tolkien’s prose, the soaring beauty, the flowing magnificence of the way he uses words. (See how nice that sounded?) While not everyone’s author or character voices lend themselves to such eloquence, if your voice does, use it. Art is, after all, often meant to be beautiful. 3. It shows who the characters are. Look at that dialogue again. Even if you haven’t read The Lord of the Rings (and if you haven’t, you really should), you can tell something about Frodo and Gandalf from what they’re saying, can’t you? Gandalf clearly dominates the conversation. He “breaks in” a couple times to defend Gollum, and his response to Frodo shows his maturity and wisdom. He’s seen more of the world and the people in it than Frodo has. Frodo is young and inexperienced at this point. He’s frightened. He doesn’t understand why Gandalf would let Gollum live. I’ll try not to give too many spoilers, but this is more foreshadowing, this time about how Frodo will grow in the rest of the book. This quote, then, is a great demonstration of how powerful “show, don’t tell” is. Without reading anything but a small snippet of chapter two, we’ve gotten to know these two integral characters in this epic work. Tell me in the comments: What do you think of this quote? Can you think of a writing lesson we can draw from it that I didn’t list here? Are you a fellow Lord of the Rings fan? Do you have a favorite Tolkien quote? Thank you for reading, everyone! Come back next Saturday for more from The Story Scientist!